Anyone familiar with the artistry of pianist/composer Michael Dulin knows that a new release from him is a musical event. It has been just over three years since he released My Beloved and twenty since the release of his debut, a collection of classical pieces by Beethoven, Mendelssohn and Debussy. 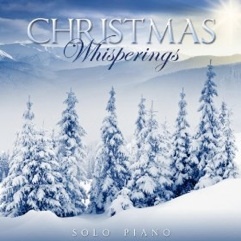 In between, there have been collections of original music, an album of Gershwin tunes, a Native flute/piano collaboration, arrangements of classical works, and a Christmas album. 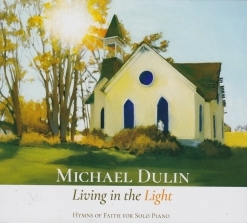 Dulin’s newest release, Living in the Light, is a collection of fourteen classic hymns arranged for solo piano. In the works for many years, Dulin has transformed these familiar tunes into complex, expressive musical masterpieces as only he can. It truly is amazing how well-worn nuggets like these can take on new meaning with a fresh, updated perspective that comes from someone who loves and understands the songs so well. A Juilliard-trained pianist, there are few others who come close to the level of musicianship Michael Dulin has attained. He can literally do just about anything at the piano and keyboards (with the possible exceptions of yodeling and rap, which really aren’t pianistic in the first place!). 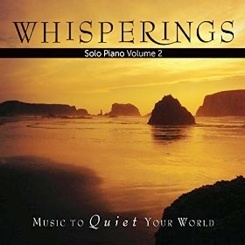 Living in the Light is a must for anyone who loves masterful solo piano music as well as anyone who loves traditional hymns. Living in the Light is one of the best solo piano hymns albums I’ve heard and I highly recommend it! 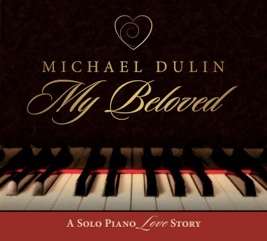 It is available from www.MichaelDulin.com, Amazon, iTunes and CD Baby.